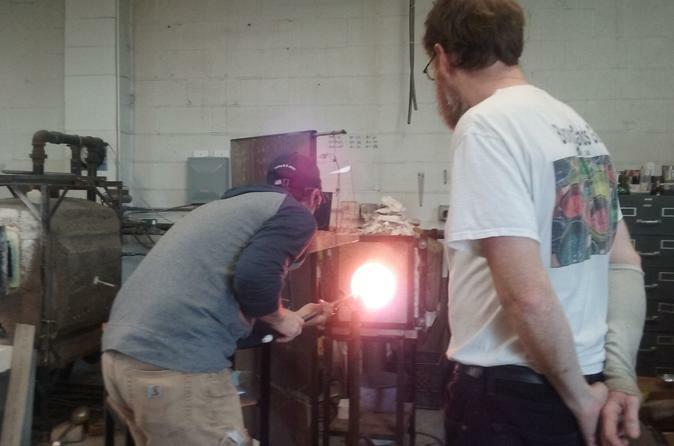 Create your own glass piece and learn the art of glass blowing in this private glass blowing class. Float, bowl, or paperweight, you choose the item and the colors, and you make it yourself, with help from the experts, of course. After you make your glass item, you'll get a tour of Fremont, see the famous Fremont Troll, and stop at Theo's Chocolates. Start time flexible, you'll get a wonderful experience making your own glass item. You'll be picked up at your hotel or other Seattle location and taken to the glass blowing studio via our SUV. This is a private tour and you'll have a local Seattle guide with you to get you there. The experience is one of a lifetime. You get to choose the item, perhaps a bowl, a globe, or a paperweight, and you choose the colors. Maybe you'll blow through a tube, or not, depending on your selection. After you make your glass item, you'll get a tour of Fremont, see the troll, and stop at Theo's Chocolates. Bottled water included. Long sleeve shirts, long pants, and closed toe shoes required.